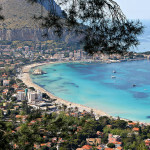 If you come to Sicily for a holiday you can be sure to find good weather in almost every season. Because of this I’ve decided to dedicate an entire page to the most beautiful beaches on the island including information on how to get to them. 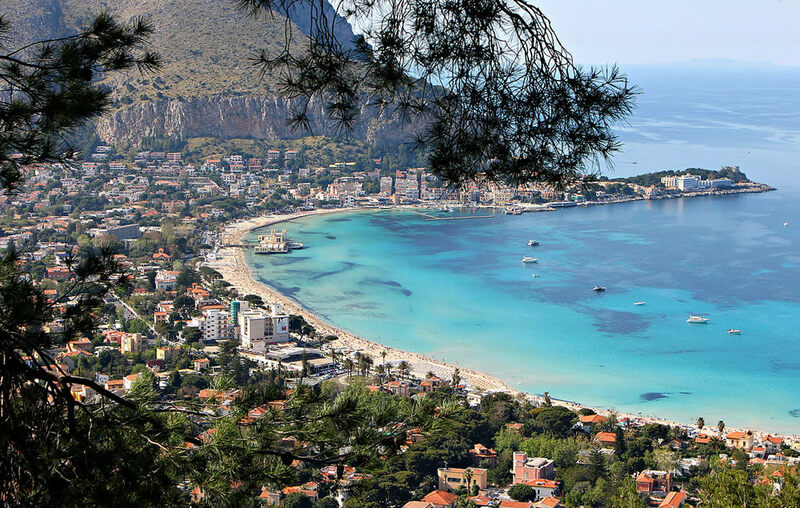 If you don’t want to go too far or if you don’t have a car, go to “Mondello Beach.” I don’t think I’d be exaggerating if I defined this beach as one of the most beautiful in the world. One word of advice is not to go there during the hottest months of the year (July and August) because in this period the beach loses some of its charm due to the large amount of beach huts and the water is not as Caribbean like or as crystal clear. 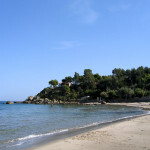 Creating a backdrop to this spectacular place are the Art Nouveau style villas which line the entire beach. It’s easy to get there from Castelnuovo Square (Politeama Square) by catching bus number 806 and, depending on traffic, takes 15-20 mins. During the high season, I would recommend “Capaci Beach” which, due to the size of its shorelines, ensures everyone gets a sun bed and umbrella at a reasonable price. If you want to go even further west (towards Trapani), by car of course, I’d suggest you visit the following beaches: “Guidaloca Beach in Scopello” which is small but very impressive due to the colour of the water; the beach at “San Vito lo Capo” which, around a ninety minute drive from Palermo, became famous for its three kilometer stretch of sand. Right in the middle of these two beaches you can find one of the most captivating slices of paradise in Sicily: “The Zingaro Natural Reserve”. 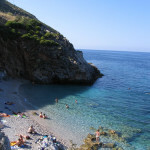 If you go there, you must bring comfortable shoes and a bit of goodwill as you’ll have to walk a great deal in order to get to the spectacular coves which dot the coastline. The essence of the mediterranea maquis, the cliff sides and the harmoneous forms of the landscape itself make for a breathtaking backdrop. Those of you who want to venture to the Eastern coastline of Palermo (more specifically, in the direction of Messina), should take the A19 towards Catania/Messina and get off at the Buonfornello exit. 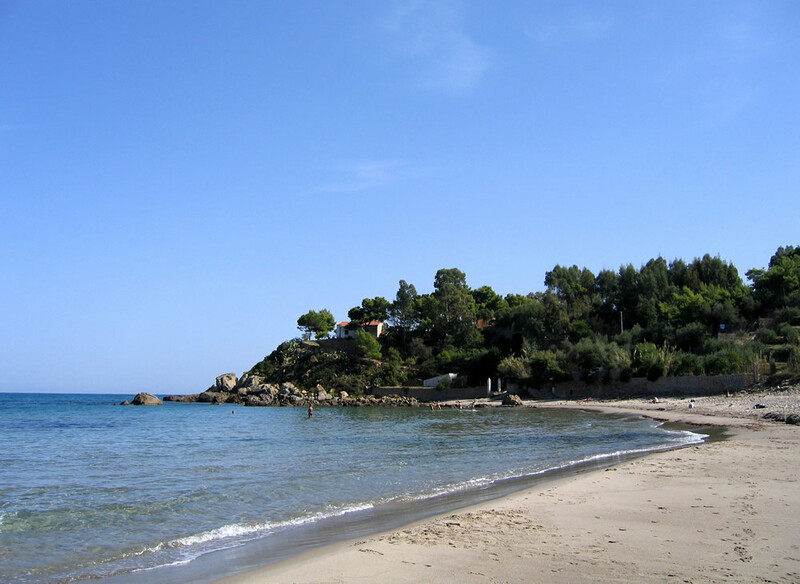 From here, it’s just a few minutes drive to “Mazzaforno beach.” Although it’s essentially a small beach, it remains completely untouched. If you continue on this road, you’ll eventually come to “Cefalu.” Along with Taormina, I think this small beach town is the most beautiful one in Sicily. Here you can take advantage of the beach with all its amenities and go for pleasant walks through quaint alleyways in the city centre. You wont be able to resist the temptation of the delicious smells coming from the many restaurants dotted along the footpath. 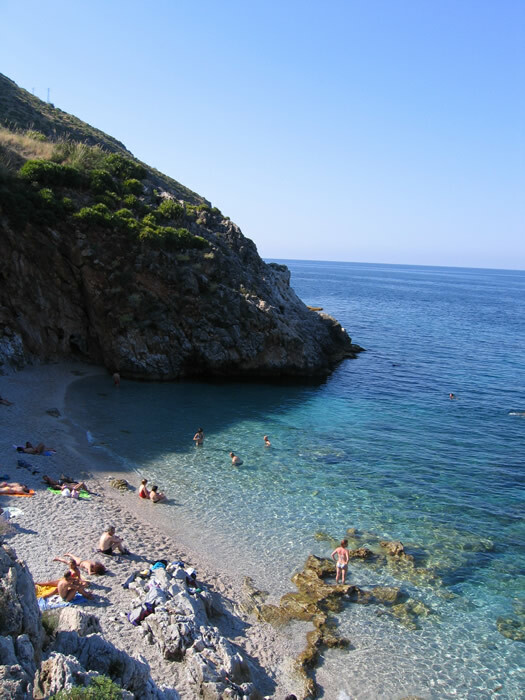 If you wish to go even further, keeping on the “Settentronale Sicula 113” highway, towards Messina, stop off at “Finale di Pollina”, a beach that boasts both sand and pebbles. It’s completely uncontaminated and often visited by young people who also go there in the evenings to dance to different types of music.